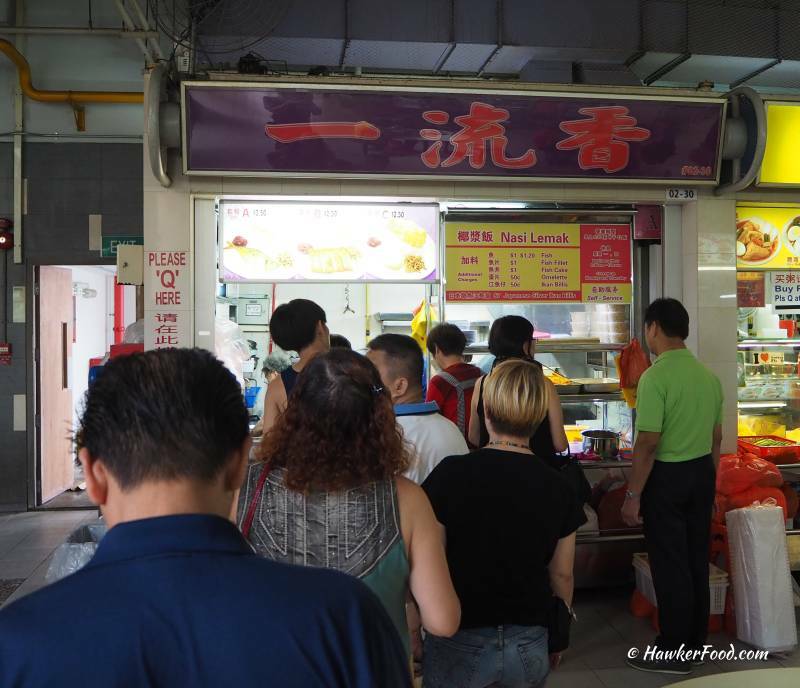 It was around 10.30 in the morning and here was Lao Beng way behind the queue for Yi Liu Xiang (一流香) Nasi Lemak. Lao Beng was craving for the kuning fish (Yellowstripe scad) for months since my last visit. I was hoping against hope that the kuning fish would still be available as the queue was long and the patrons in front of me were ordering multiple takeaways. 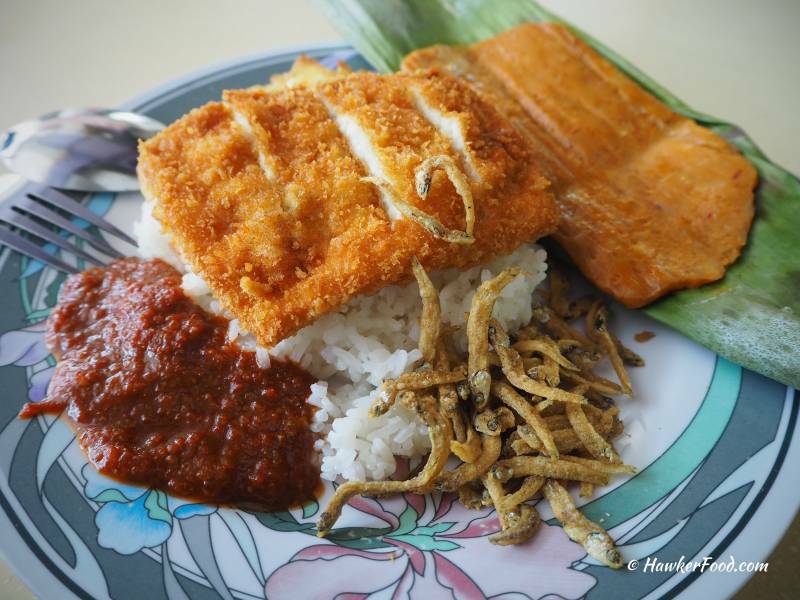 At Yi Liu Xiang Nasi Lemak, there are three set choices at $2.50 each as shown above. Needless to say Set A is definitely the most popular choice. In additional to the standards sets, you also have the option to add on luncheon meat, fish fillet, fishcake, ikan bilis (anchovies), otah and other side dishes at additional cost. As my turn neared, I could hear the patrons in front of me sighing as the kuning fish (Set A) was sold out. Naturally I was disappointed but proceeded to order Set B which is the fish fillet version and added $1 for a large piece of otah. As always, the rice was very fragrant and taste really well with the delightfully sweet and punchy chilli. The fish fillet, otah and omelette were pretty standard stuff. 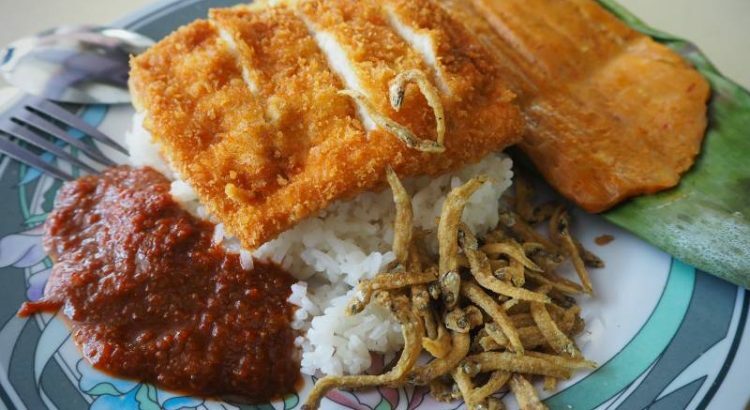 I do realize that a lot of attention have always been given to their delicious kunning fish so much so that I myself actually neglected the fact that their ikan bilis is one of the best I have ever tasted. They were extremely crunchy and I could taste that the ikan bilis are of a higher quality/grade. Japanese silver ikan bilis in tubs are also available at their stall for purchase. The early bird catches the worm, please go early and try the set with the kuning fish! !